Get the most from your Promac equipment; always trust Genuine Promac parts and service. 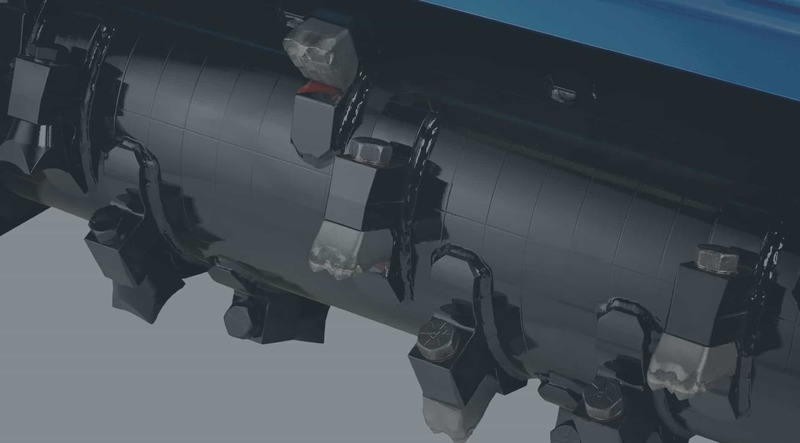 The perfect part made to fit the exact specifications of your Promac attachment. 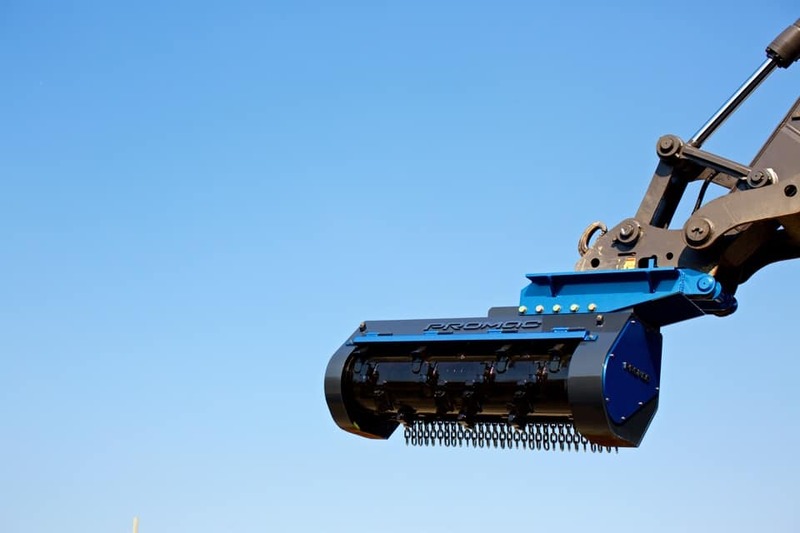 Every Promac product is supported with quality parts, dedicated service and fast turnaround. We engineer, manufacture and test every component to ensure it meets Promac’s rigorous quality, durability and safety standards. Plus, we continually improve the performance of everything we build and those improvements are carried over to our parts and accessories. 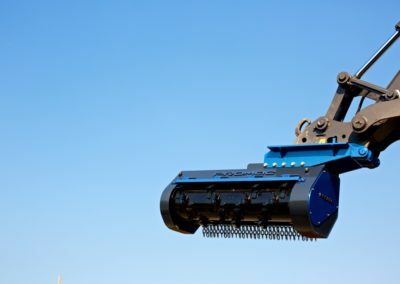 You can depend on Promac for everything you need, when you need it to ensure your equipment is running at its best. RSM + HDM Carbide Quad Tooth (Part #12534WC). 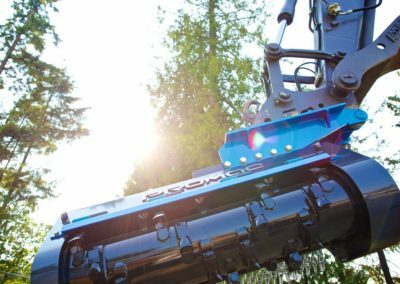 Longer lasting edge and greater cutting performance for all models of RSM Brushcutters and HDM Brushmulchers. 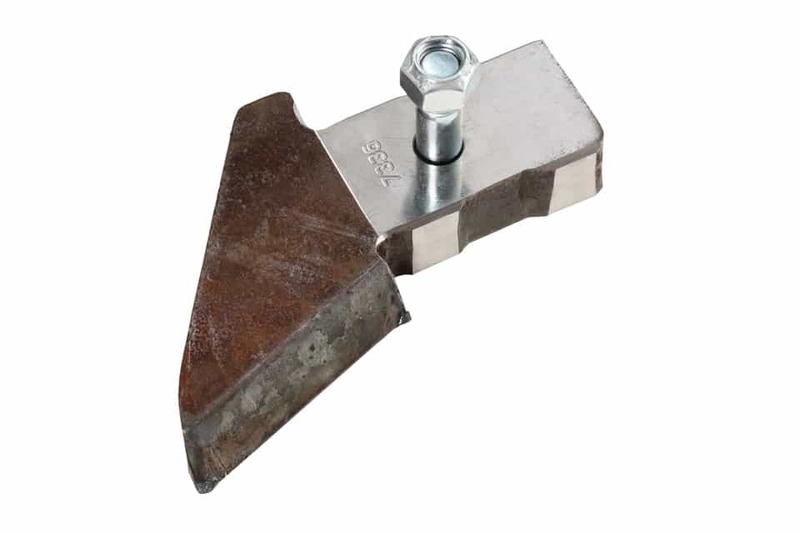 Bolt and nut attachment (Part #13684). 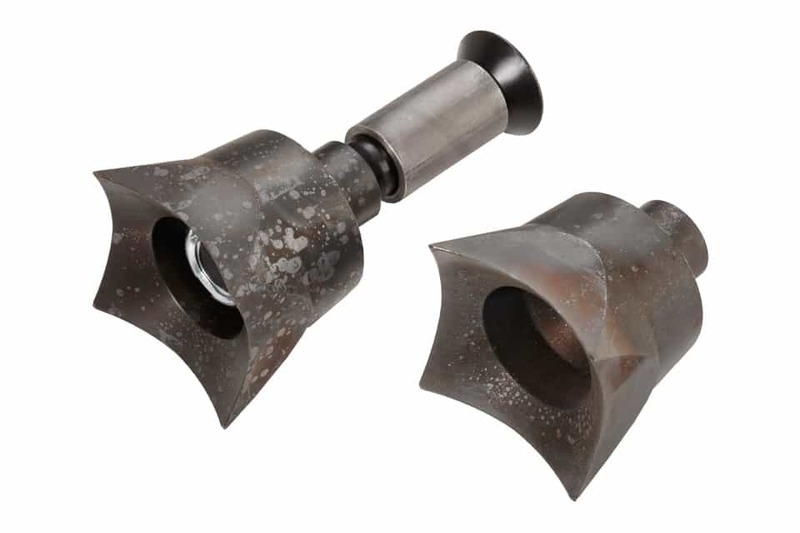 Carbide-tipped Mulching Bit (Part #12690) Durabit. Comes with nut. Durabit Bushing (copper in the middle) (Part #12689). 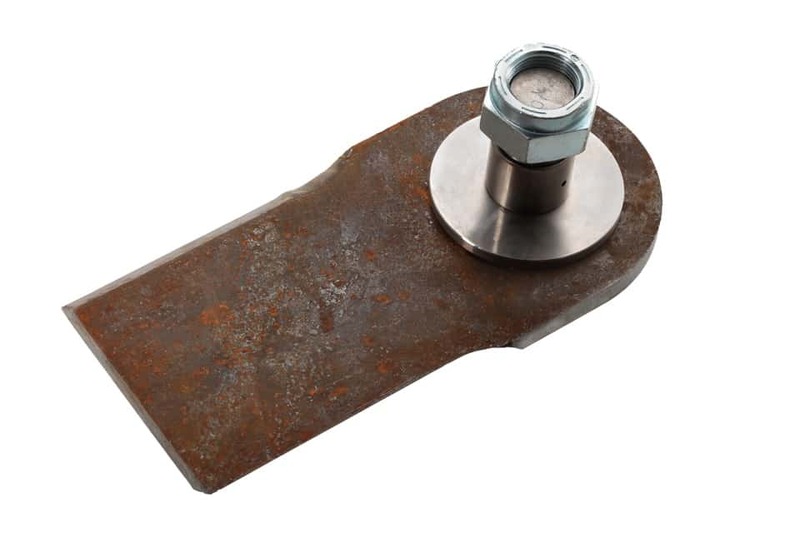 Durabit Holder (Part #12688). Wide Quad Tooth (image left) (Part # 12534W) and Quad tooth (image right) (Part #12534). 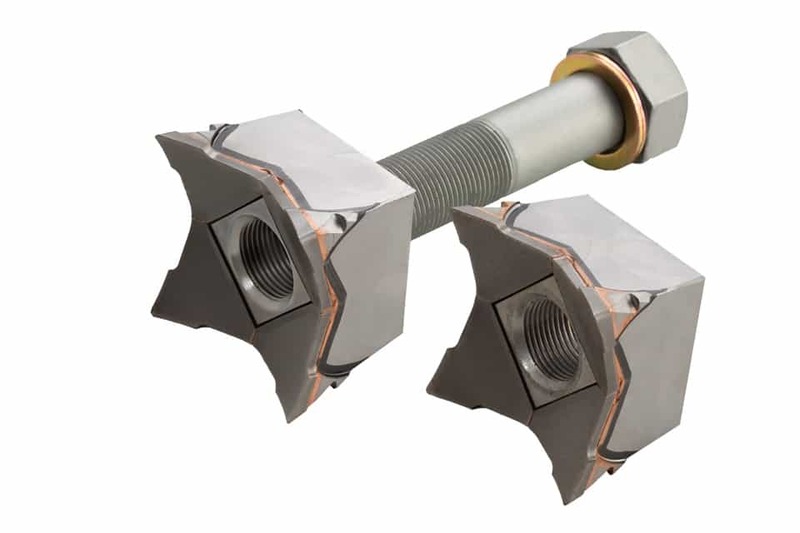 Bolt and nut (Part # 13684). 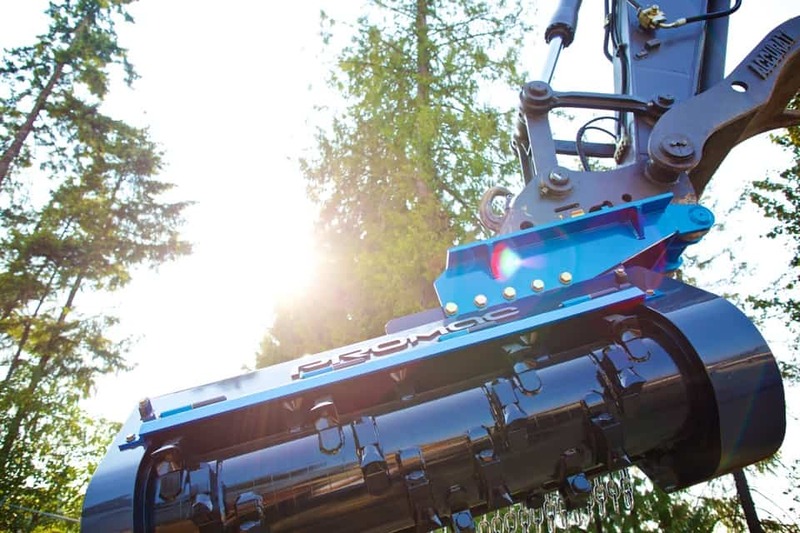 Works on Promac RSM Brushcutters (36” and 48”) and Promac HDM Brushmulchers (48” and 60”). Three Blade Disc. These blades come in two different sizes to fit the 36” and the 52” RGP Brushcutter. They also include the option of Standard Blade (36” Part #B350 | 52” Part #B22016) and Heavy Duty Blade (36” Part #B350A | 52” Part #B22016A). Heavy Duty, thicker blades are available. The 1” thick 52” Blade (Part #17142) have the longest life and production of any of our blades (these require Blade Bolt Part #17141). 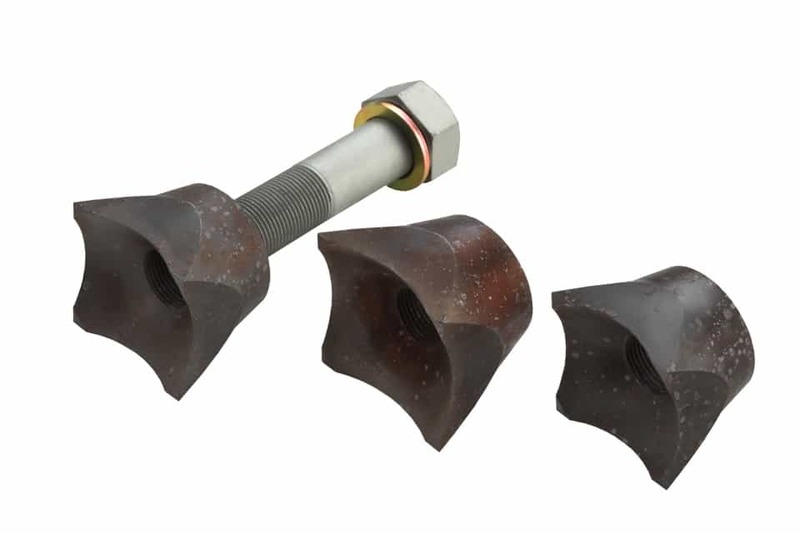 Parts include: Blade Bolt (36” Part #B3511 | 52” Part #B2211), Blade Bolt Washer (36” Part #B3512 | 52” Part #B2213), Blade Bolt Bushing (36” Part #A3522 | 52” Part #A222), Stove Lock Nut (36” S40918 | 52” Part #D40918). 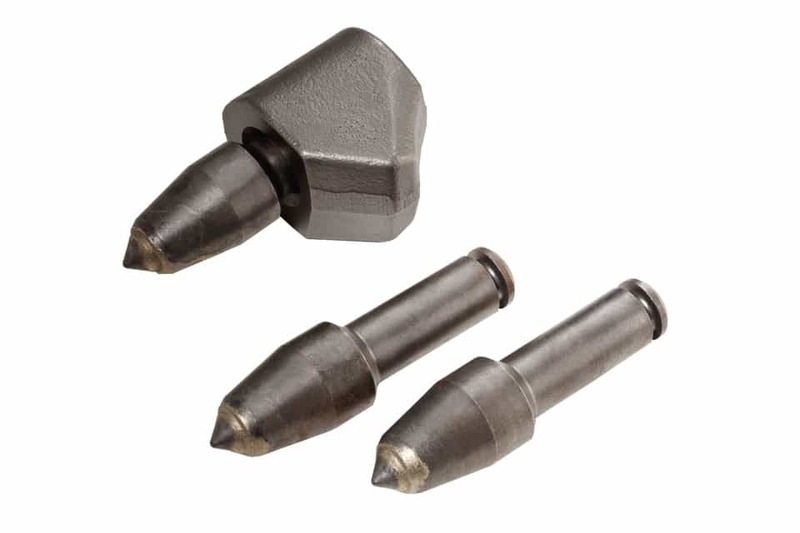 Heavy Duty Bullet Bit (Part# 1009). Comes with Heavy Duty Mounting Block that is welded to the bottom of the RHP Brushcutter (Part #10010). Used on both RHP models. RHP Quad Tooth (Part #13559). 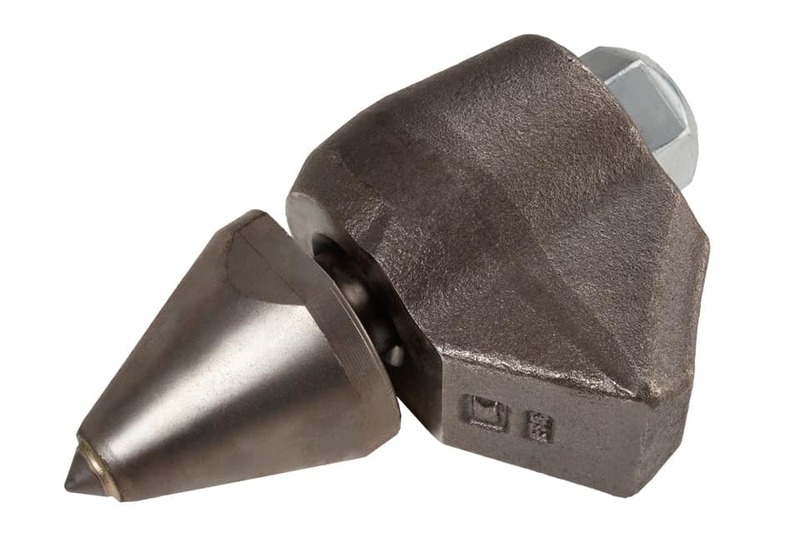 This Quad Tooth bit can replace the standard Heavy Duty Bullet Bit on the RHP Brushcutter. Includes Tooth Bolt and nut (Part #102873), Tooth Bushing (Part #102872). Standard Cup Bit (Part #102871). Replacement for the standard Heavy Duty Bullet Bits on the RHP Brushcutter. Includes RHP Tooth Bolt and nut (Part #102873), RHP Tooth Bushing (Part #102872). RHP Standard Upper Bullet Bit (Part# 0656) for the upper side of the RHP Brushcutter disc. 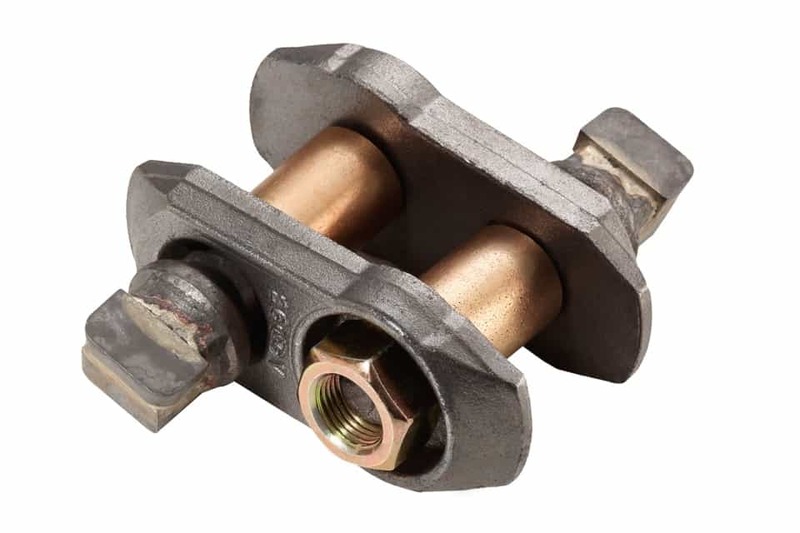 Comes with a retaining Snap Ring, Standard Upper Mounting Block (Part# 0657). Weld on mounting block for the upper side of the RHP Brushcutter disc. RHP Outer Cutting Knife (Part #0653SP). 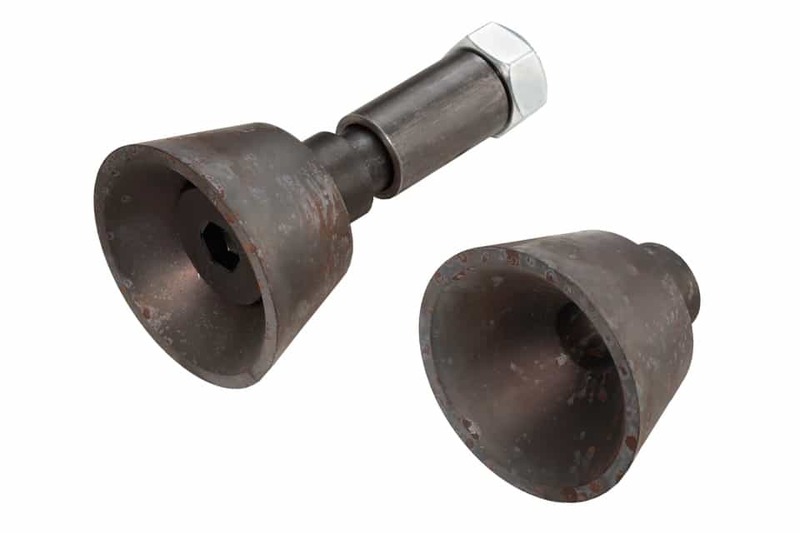 Heavy-duty outer bit that comes with mounting bolt and nut. Heavy Duty Flail Tooth (Part #12800SPW). Carbide-tipped wide flail tooth. Flail Both Package (Part #17034) comes with bolt, bushing, nut and washers. RSM + HDM Carbide Tooth (Part #16075). 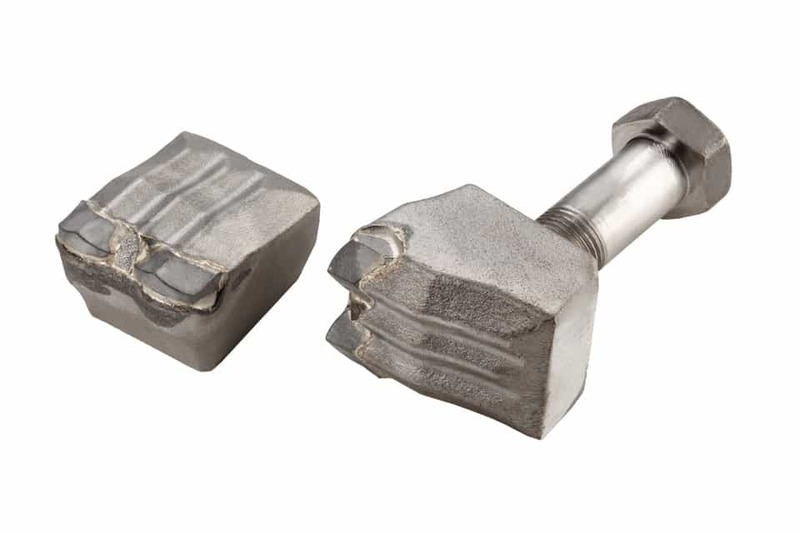 Carbide-tipped tooth and bolt designed for even the roughest working conditions. 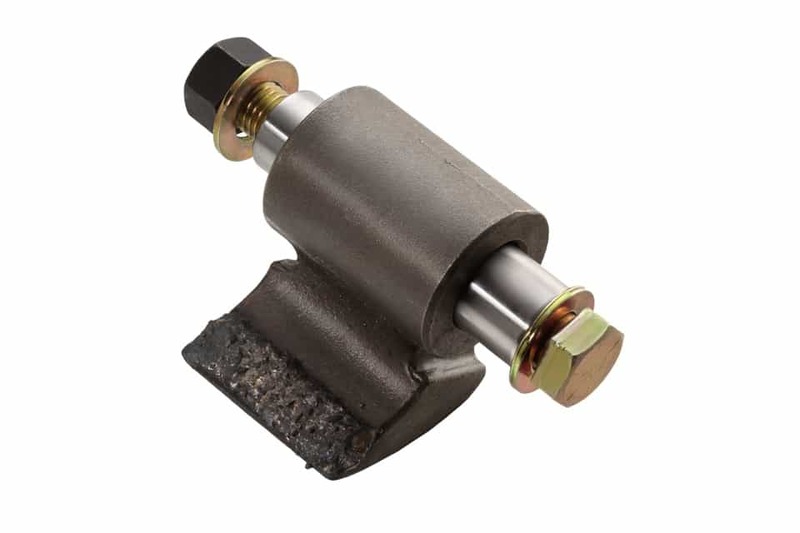 The Carbide Tooth can be used interchangeably with any models that use Quad Teeth.